Would you like to sell motorbike in Nottingham? Motorbike Trader, We Buy Any Bike are a great option. 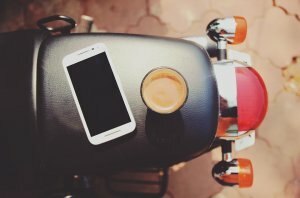 Where can I sell my motorbike? Bike trader, WeBuyAnyBike will come to Nottingham and collect your motorcycle for free. It’s a straightforward, easy process and we offer an instant online motorcycle valuation. If you accept our offer we collect your bike, hey presto, the job is done! Get a Motorcycle Valuation from the UK’s leading bike trader. Before you know it you’ll have the cash in your pocket. 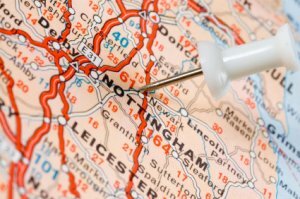 Nottingham is 30 miles south of Sheffield, and around 30 miles north of Leicester. It has an estimated population of 310,837, including the suburbs. Nottingham is linked to the legend of Robin Hood. Also to lace making and tobacco industries. Nottingham has a beautiful town centre, call the Old Market Square. Which is actually the second largest city square in the UK. This is a great place to visit, the people are notoriously friendly. The term “Ay-up midduk” is a humorous and comfortable greeting using local dialect. Nottingham is a great place to be a biker. There is a load of fun events, exhibits and biker friendly pubs hangouts. The MFN is a location in the Midlands, about 25 minutes from Nottingham centre. This place is always packed out with amazing live bands playing every week. They host one of the country’s largest bike nights for all riders. Whether you’re an easy rider or a fan of superbikes. MFN will have something for you. As well as car and bike nights, MFN also holds special weekend events through the season. Over the weekend, you can expect, stalls, live music and free camping! Newark Autojumble is already a massive event, but each year it’s getting bigger and bigger. It’s a great day out for any car or motorcycle enthusiast. It offers a vast array of parts, restoration services and products. This autojumble attracts a large number of visitors from everywhere in the UK. Searching for amazing bargains and offers! Held at Newark Showground, Nottingham. It’s easy to get to from Newark, Lincoln and Nottingham. Just off the A1/A46/A47 junction. They have plots both on the inside and outside. There really is everything you could want here. Nottingham is a great place to meet fellow bikers. Here are some clubs! White Hart – A warm and friendly pub, which has recently been refurbished! This is definitely somewhere to check out if you’re a bike in Nottingham. With live music on every weekend and bikers meet and ride out Thursday. Brownies Cafe – This cafe is run by bikers, and does amazing tea, coffee and a lot of cake! Pizzini Coffee Shop – Bikers are made welcome here and are known to have get-togethers at the cafe spot. They serve coffee, pizza and kebabs. Ride out bike night is on Thursdays. Old Chandlery Restaurant – This restaurant welcomes all bikers and trikers, they have a warm and friendly atmosphere. The Old Chandlery; known for amazing home cooked food and great beer. This is the perfect meeting spot for walkers, cyclists and motorbikes. They have a 5 stars rating from the district council. Which is the highest award possible for the standard of hygiene. This is a really fun route, with a combination of twisty sections and long straights. The scenery is superb, with nice corners and cafe stops along the way. Who will buy my bike? If you are in Nottingham, or Derby, Mansfield, Loughborough, Grantham. Anywhere in the Nottingham area and want to sell your bike ..try motorbike trader, WeBuyAnyBike. Our system will give you an instant online motorbike valuation. It’s really easy… You can get a quote in less than one minute just from your bike’s registration! It’s super quick and gets you cash for your motorbike. If you’re thinking, who will buy my motorcycle? We Buy Any Bike will! Avoid the hassle and tyre kickers that usually come with eBay motors and other bike traders. Sell motorbike to us and see how stress-free the process is. Selling your motorcycle with this bike trader is a simple process, we pay the most and collect the quickest!